I have had the pleasure of smoking fine cigars since my first cigar in 1994. Similarly, I have had the pleasure of smoking aged cigars aged since the mid 70's (a Montecristo No.2, by the way) during the wedding reception of a close relative, which was an absolute bliss! But I have NEVER had such wonderfully hand-crafted masterpiece as Trinidad Robusto Extra in my life. This stogie, with its super presence, is truly the finest of the finest smokes one can be fortunate to lay their hands on. It's with complete sadness I have to report that this cigar along with its smaller cousin Trinidad Robusto T have been discontinued by Habanos since the firm intends to focus on their high-end Cohiba brand more. What a thoroughly erroneous decision on their part! Well, let's get on with the review. 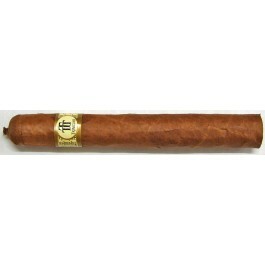 The cigar opens up with absolutely divine floral & cedar notes. The body is mild to medium and the finish is long and super smooth with absolutely no rough edges!! Now, the stogie has kicked its strength up a notch and it stands at a solid medium with flavors of cocoa, cedar, black tea in the foreground and light floral notes way back in the background. I am amazed by how many complex flavors can be discerned during this third. This is where the cigar outshines all and every stogie in the market with the flavor BOMB of nutmeg, caramel, latte, leather and a number of other flavors I could not put my hands on. The evolution has been absolutely mind-numbing!! A MEMORABLE SMOKE IN ALL AND EVERY ASPECT!! !